Building muscle through different forms of physical activity is possible. For bodybuilders, it is obvious that they are able to build more muscle mass because of the type of training that they undergo. Muscle development requires not merely focusing on a single group of muscles but targeting each muscle group one at a time. Runners who run long distances may find themselves increasing muscle mass over time, but the level of muscle building that they accomplish isn’t the same as what bodybuilders can do. This is because of specialized training. 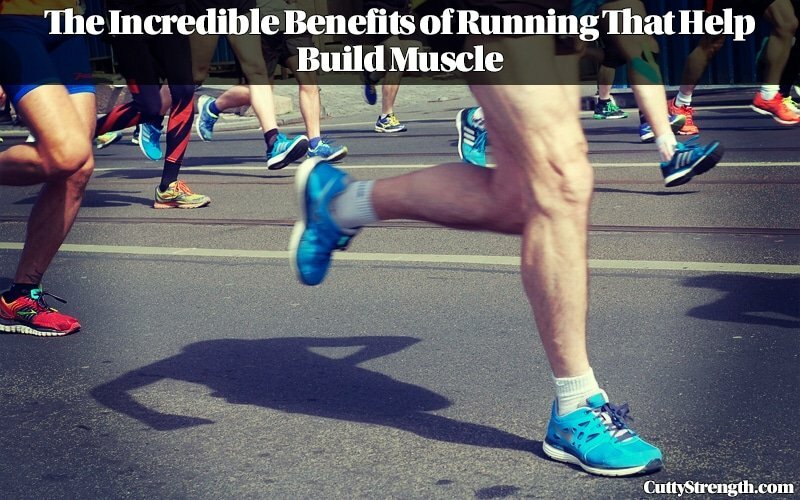 In this article, we will share some information on how running can help you build muscle even if you don’t really lift weights regularly at the gym. Specialized training is a kind of training that concentrates on a specific group of muscles one at a time. Full body growth may be achieved after several years of training and you will notice that the growth comes in 5-10 pounds per spurt. This means that you will not hardly notice a pound of increase every day, but it will become noticeable once you’ve added quite a bit of mass. It should be noted that not all muscles grow under the same conditions. For advanced trainees who are much stronger and are able to lift heavier weights, this can be more stressful with regards to their general metabolic process in recovery. To start building muscles, a bodybuilder will not immediately try to lift heavy weights at once. There is a phase where you slowly increase the weight and endurance before you can lift heavy weight. Otherwise, he will end up tearing his muscles or tendons. The same goes for a marathon runner who does not start with 3k training. Ideally, if we integrate running to a specific training, it helps increase the strength of the individual without any worries of losing muscle mass. You may see how the body adapts to the kind of training that you do. Notice how the body of a decathlete looks like. Since he is focused on doing several kinds of sports, the muscles that he has built helps him endure the stress as well as strengthen him to be able to finish the race. Compare that to a frequent runner, and you may see a huge difference in muscle mass because of the specific group of muscles used during their training. Adding cardio training, however, may help improve the range of motion and strength of long distance runners. You may be involved with a different kind of sport and include running as part of your training. Despite this, you still need to check out online resources like RunningStats.com to provide relevant information about running and fitness in general. Look for reviews on the best exercise gear currently available in the market. Never leave home without tagging along a bottle of water – it is a must among runners and exercise buffs to keep themselves fully hydrated. While running may not entirely make your muscles grow big like Arnold Schwarzenegger’s, it can be part of your routine training to start with strengthening some of the muscles that you might need for your particular sport. Running may not directly build muscle mass but it can be a part of a routine training to help improve strength and endurance once heavier training commences. Apart from the training, there is also a required diet to help increase the muscle mass.